February 13th - Yard sale @ the museum - 1:00 - 4:00PM. February 20th - Black History & Art Event - 1:00 - 5:00PM. 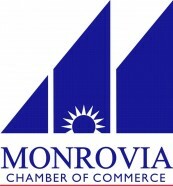 April 10th - Asian Heritage in Monrovia event - 1:00 - 5:00PM. May 8th - Mother's Day Event with Guest re-enactor demonstrating sewing machines/techniques of the 1800's. June 11th/12th - Civil War Living History Encampment. Re-enactors will demonstrate life during Civil War. Mr. Lincoln is planning a visit! September 18th - Latino Heritage & Art Event - 1:00 - 5:00PM.